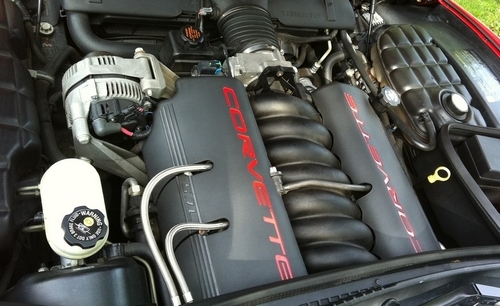 The first engine on the list is the first GM LS—the 5.7L LS1 that appeared in the 1997 Chevy Corvette. The LS1 is the original Gen. 3 small block engine used in cars from 1997-2004. The information listed here is for the stock engine. Displacement 5.7L / 346 c.i.d. Flexplate/Flywheel Mounting Flange 0.857 in. Fuel Injector Flow, 1997-98 29.6 lbs. Fuel Injector Flow, 1999-2000 27.3 lbs. Fuel Injector Flow, 2001-04 30 lbs. The data for this article originally appeared in this Chevy LS1 Engine Specs article at Summit Racing’s searchable database of FAQ tech info. Go there and search “LS engines” for a comprehensive collection of LS engine tech information. All the Australia v8 Holden commodore’s and the muscle cars are LS powered . Starting in 1997 ls1 5.7 L and ending up in 2017 with the custom LS9 6.2 L supercharged. (specially designed for the VF Holden Commodore GTS W1. Any one has a list of block casting numbers for the Holden & the Lumina’s LS1 engines?